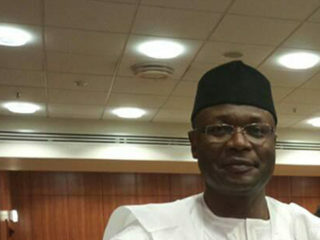 The newly inaugurated member of the Benue State House of Assembly on the platform of the All Progressives Congress (APC) Mr Joseph Boko, has decamped to the Peoples Democratic Party (PDP). Boko decamped to the PDP on Tuesday, just a few hours after his inauguration ceremony, presided over by the Clerk, Benue State House of Assembly, Mr Terese Agena. The News Agency of Nigeria (NAN) reports that the Benue assembly currently has no APC member, as all eight members that refused to decamp to the PDP with Gov. Samuel Ortom, have been suspended for attempting to impeach the governor. “It will be recalled that the inauguration ceremony was cancelled twice by the leadership of the state legislature, even wen APC supporters stormed the assembly complex demanding the immediate inauguration of the member as ordered by the court. The botched inauguration, was, however, performed on Tuesday during plenary after the member said he had resigned from the APC. Boko (APC Kwande West) was inaugurated as the new member of the 8th Benue State Assembly. NAN reports that the new member replaced Mr Benjamin Nungwa, who was sacked by the court of Appeal for illegally representing the constituency. 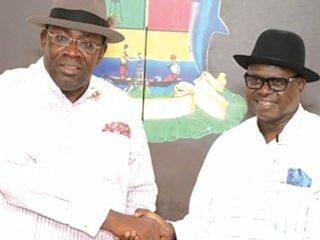 Boko, who fought his way from the State High Court up to the Supreme Court to reclaim his seat, was finally inaugurated after more than three years of the legal contest in the courts. Speaking before the inauguration, the Speaker, Benue State House of Assembly, Mr Titus Uba, commended Boko for being “so dogged and resilient in his fight to reclaim his seat,” and wished him well in his conduct as a lawmaker. Also Introducing the new member to the legislators, the Majority Leader, Mr Avine Agbum, described Boko as “a grassroots mobiliser” from Kwande, who fought well to reclaim his seat in the assembly. 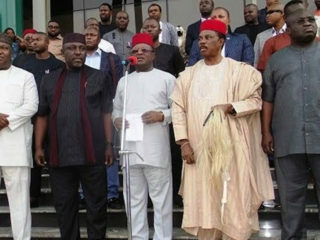 Speaking to newsmen after the inauguration, Boko immediately announced his defection from APC to the PDP. 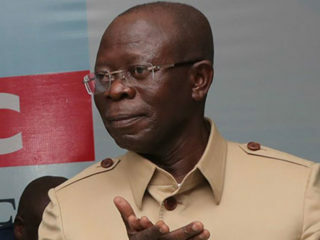 Boko, whose name was missing on the INEC list as APC candidate for Kwande West Constituency, accused the APC of complicating things for him. Efforts to confirm the resignation of the lawmaker from the APC failed, as calls made to the party’s Publicity Secretary, Mr James Ornguga, on the issue were not returned.